BBC Studios has partnered with Tencent to launch a new BBC Earth fan community BBC Earth Tribe and a co-production partnership for BBC Studios’ latest natural history landmark, Dynasties. The BBC Earth Tribe is a Chinese online community for people passionate about natural history and science, which went live on 15 October in China, offering more than 650 hours of BBC Studios’ natural history and documentary programmes, as well as Q&As with BBC Natural History Unit producers. The series from the multi-award winning BBC Studios’ Natural History Unit will broadcast simultaneously with the UK telecast in China on Tencent’s v.qq.com platform. Partnership between BBC Studios and Tencent is not unprecedented. Two big names have partnered on the award-winning series Blue Planet II in 2017 and Planet Earth II in 2016, meaning Dynasties is the third natural history co-production deal with Tencent for BBC Studios. “Chinese audiences’ appreciation for BBC’s premium natural history content has grown over the last two years. 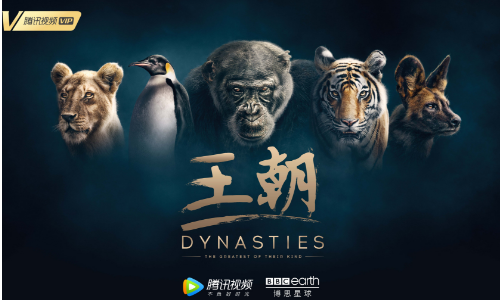 We are very excited to extend our partnership with Tencent with the co-production of Dynasties, and work with them to build a community of like-minded natural history fans, bringing our content beyond the screens to them via BBC Earth Tribe,” said David Weiland, EVP Asia for BBC Studios. The Hong Kong Deposit Protection Board has rolled out a campaign to change the way government advertising is perceived, which is l.. Despite the dominance of foreign brands in high-end markets, there are winning Chinese manufacturers including Huawei, OPPO and vi..